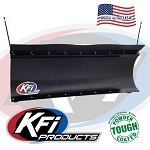 KFI is an up and coming company in the USA, they are a family owned company that makes some of the highest quality products on the market. They personally test there products to ensure great results and to make sure their products stand up to the test and last a long long time. They build a wide variety of products, from winches and winch mounts to reciever hitches, and bumpers they make some of the highest quality products and the best part is all their products are made right here in the USA.